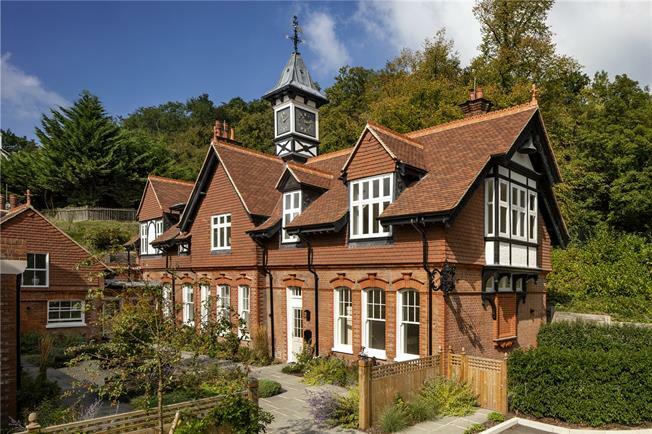 2 Bedroom Mews House For Sale in Wadhurst, East Sussex for Asking Price £675,000. ‘The Clock House’ was part of the original mansion built for John Bruce, a descendant of Robert the Bruce, in 1885. The admirable interiors and exteriors have led to the building’s Grade II listing. Of significant importance here is the clock within, which was made and installed by clockmakers Charles Frodsham and Co. in 1885. Frodsham and Co. was granted the Royal warrant in 1854 and made keeper of her Majesty’s clocks. For over 125 years they were responsible for the maintenance of the Royal clocks and remained the last independent clockmakers permitted to have workshops in Buckingham Palace. The clock being installed by Frodsham with its enviable reputation is of no surprise and again signifies the ‘no expense spared’ scenario that was applied to the mansion and gives it its architectural importance. The ornamental square clock turret and weathervane have now been retained and restored and can be enjoyed for many years to come.